We are thrilled to announce a small victory on the Farm Bill front! This week the FSA Microloan Authorization amendment to the Farm Bill received bipartisan support, as Senators Casey (D-PA), Harkin (D-IA) and Johanns (R-NE) all put themselves as official co-sponsors of the bill. 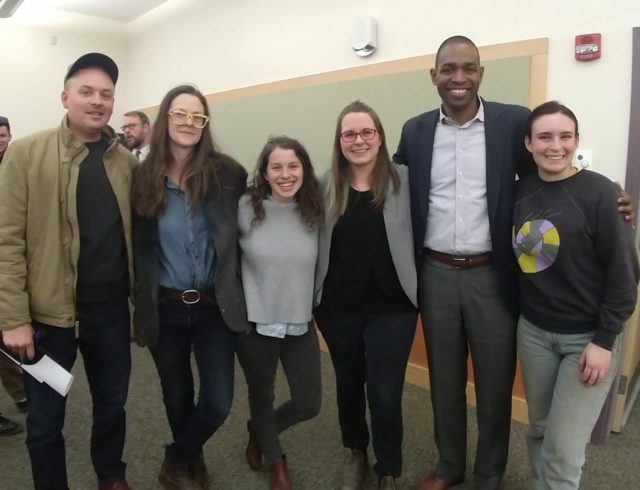 The Microloan amendment strengthens the Farm Service Agency’s microloan program for young and beginning farmer, which is a modification of its existing Farm Operating Loans (OL) program. These micro-loans are smaller, require less paperwork, and allow for a longer payment period to better address the needs of small and beginning farmers. The idea behind the microloans is that the average beginning farmer doesn’t need the cumbersome paper-trail and red tape that come with applying for one of the FSA’s regular Farm Operating Loans that have a ceiling of $300,000. Not only is the process too time-consuming, but the scales are often tilted in favor of larger farms. Now, the beginning farmer—who needs to borrow just ten or twenty grand to purchase seeds, livestock, or equipment at the beginning of the season in order to turn a profit and pay the loan back—has a real solution. This amendment authorizes a new simplified microloan category within the Farm Service Agency’s direct operating loan program, to make small farm loans up to $35,000. The new microloan program would include specific terms for loans made to beginning and military veteran farmers and ranchers. The amendment is officially entitled Senate Amendment 986—The Casey-Harkin-Johanns Microloan Authorization—keep an eye on it! Great! So what’s the next step? Right now we are thick in the middle of the Farm Bill process. To give a quick refresher, earlier this month both the Senate and the House Agriculture Committees passed draft versions of the Farm Bill. That’s just the very first step on the way to passing the bill into law. Next the bills go to their respective houses, where further amendments are passed; next the two versions of the Farm Bill (one from the House of Representatives and one from the Senate) are “reconciled”; and finally the one unified bill has to be approved by both houses of Congress before making its way to President Obama’s desk. This week (and possibly into next), the Senate is debating their version of the bill—the House of Representatives will take it up later in June. See the helpful infographic from the National Sustainable Agriculture Coalition below for more details. 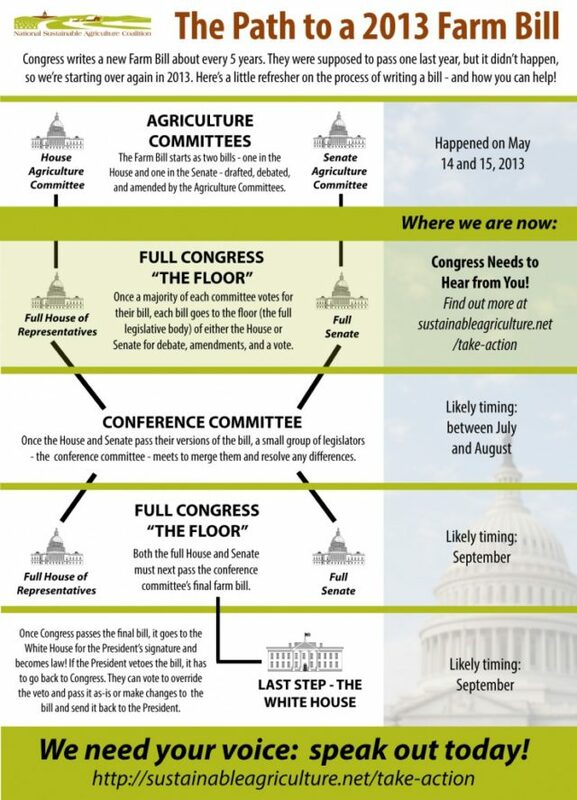 And stay tuned—we’ll get you up-to-the-minute details on how the Senate Farm Bill process is continuing.